While this is likely to be of more interest to the SoCal group, all are invited to a "Celebration of Life" for Leif Anderberg. Many in the Ti community know of Leif and many around the world has met Leif, but some may not know much about Leif. Leif Anderberg and his dearly departed wife Fia were among the first and most enthusiastic BMW fans anywhere. Leif and Fia were honored as "Friends of the Marque" by BMW AG and the international association of BMW clubs. Leif and Fia founded the BMW Club in Los Angeles in April 1970, and he was very active in running the club until Fia's passing. We all shall miss him. A date has been set for "Leif's Celebration of Life". It will be held in the infield of Santa Anita Park on April 29th, 2012 from noon to about 5pm. Tina, Leif's daughter would like to have vintage and other interesting BMW's parked on the green. If you would like to have your car be among that group, please RSVP to Kelley Sakata-Moon at sakatamoon@... or call (626) 905-1936. Also, if you wish to add some remembrances of Leif, please respond as below. love with the little car and with the marque. They started the Los Angeles BMW Club in 1970 and the rest, as they say, is history. For many of us old timers, our first introduction to the Los Angeles BMW Club was through Leif. 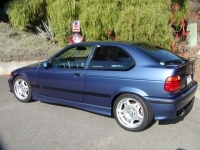 Those who joined more recently remember Leif from various events, as an avid BMW model car collector, as a CCA National Technical Service Advisor, and as a columnist in the LA Club newsletter. Leif is survived by his daughter Tina, his grandson Seth and a soon-to-be-born grandchild. Our deepest sympathies go to his family. We need your reminiscences and photos for the BMW CCA Los Angeles Chapter "Whispering Bomb" newsletter and for the Celebration. Just a sentence or two with a memory of Leif would be great. Longer remembrances are good, too. We have a few photos from more recent years, but we sure could use some older ones (scanned and electronically transmitted would be ideal). The newsletter deadline is February 10. Please send your submissions to BMWCCALAnewsletter@... before Feb 10th to meet deadlines. Thank you Roger! If my work travel schedule permits, I will be there to celebrate the life of the guy that practically started the BMW Car Club of America!!! This is a big loss for the BMW community. Leif (and his writings) will be missed by many. My 2nd cousin...I just started doing Ancestory.com around xmas..He was on my famly tree, although I knew absolutely nothing about him......His grandfather, was my grandfather's brother. 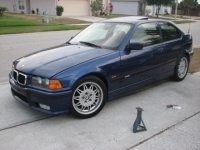 I got an email this morning from another person working the family tree who lives in LA area and said he just found out he died and that there was a nice obit on the forum here...That being said..I have been driving BMW's since 1971 (my first was a 1969 2800CS Coupe) and amongst other things, we have five in the family right now (nice stuff, not new stuff). Anyway to find out Leif was a reknown BMW and was driving them back in the days when we used to flash our lights at the other rare oddballs driving them is insane to me. To think perhaps he might have been in the Monterrey Historics Laguna Seca BMW tent when my son and I came down from seattle and were there every other year and we didn't know each other is also insane. 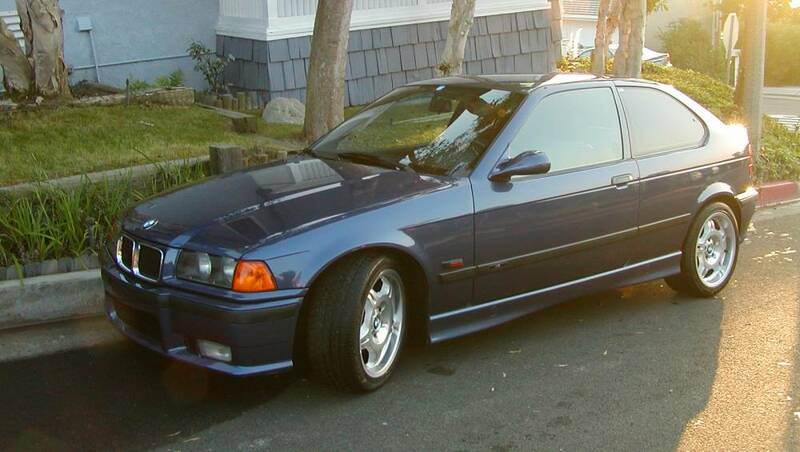 I could have used his help when in Nov 2009,I flew down to LA and bought a beautiful 1991 E30 318is sight unseen for my youngest son when he turned 16. Could I get information for the newsletter e-mail? If you'd still like some pictures of Leif and family from the early days, I can provide. And a tale of two. You can send the info to d-b2010@cox.net. Thanks. RIP Leif Anderberg. Thanks for being active in the BMW community. SO SORRY TO HEAR ABOUT LEIF'S PASSING , 5 YEARS LATE ! BEING AN EAST COASTER I NEVER REALLY RAN IN THE SAME CIRCLES . I DID GET SOME 700 AND 2002 PARTS FROM HIM OVER THE YEARS . I DID MANAGE TO SNAP A PICTURE OF HIS 2002 TRUCK ON MY ONE TRIP TO THE LEFT COAST .